At Appliance Repair San Marino, CA, we are pleased to offer the fastest and most effective service on all types of residential appliances. Our certified technicians are experienced, well-trained, and highly-skilled specialists. We respond quickly to offer cost-efficient solutions for residential customers. You can call us for same day service on all brands of laundry room and kitchen appliances. 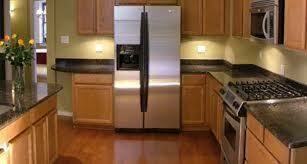 We offer outstanding appliance repair in Pasadena and many surrounding areas. Our technicians are honest, trustworthy, and committed to administering the professional results you need. We offer trusted home appliance repair at very competitive rate. Our service vehicles are stocked daily with a huge array of spare parts to be used for repairs and replacement service. An important part of our service capability is our organization and preparation skills. We arrive at your location fully prepared to get the job done quickly and accurately. Our appliance service technician offers a friendly, but professional business approach. We are helpful, respectful, and explain every service procedure prior to providing it. There are numerous appliances being utilized in the residential community today. We have designed our service to ensure we can meet the ever-changing needs of our customers. Our technicians are qualified to offer a wide array of appliance repair service options. You can contact us to administer everything from washer & dryer service to stove & refrigerator repair and we will respond rapidly to address the issue. Our specialists rely on enhanced troubleshooting skills to search out the problems and then depend on their experience and training to address them fast. We are dedicated to administering exceptional appliance service the same day you call. Many residential customers turn to us for Pasadena appliance repair service because they know we will do the job fast and do it right. Our commitment to excellence and genuine concern for the customers we service make us a highly sought after appliance company. Make San Marino, CA Appliance Repair your first and only choice for service on home appliances.